Tax Requirement Tickets for this lottery are purchased in Spain. Lottery prizes are subject to taxation at source. There are two tax bands. Tax Band 1: Tax-free up to €2,500. Tax Band 2: Any portion of the prize exceeding €2,500 is subject to a tax rate of 20%. Check the tax laws in your country of residence for any further local taxation you may be subject to. EuroMillions Lottery handed out the largest European lottery jackpot, a €190 million prize, twice! Once in August 2012 and again in October 2014. EuroMillions is the second biggest transnational lottery in the world (after Europe’s newest multi-territory lottery EuroJackpot) with nine participating countries. The European lotto has created unforgettable jackpots like €190 million, €185 million, €183 million and €156 million since it began in 2004. With a €15 million starting jackpot, it pays to check the EuroMillions results on a regular basis. The EuroMillions lottery is one of the world’s premier lotteries with fans from around the globe. EuroMillions has built an international reputation on record jackpots and exciting rollovers, and the lottery features prominently on InternationalLottery.org. While the idea for the EuroMillions was conceived in 1990, the multi-country lottery only became a reality in 2004. In February of 2004, three lottery organizations from different European countries (Française des Jeux from France, Loterías y Apuestas del Estado from Spain, and the Camelot Lottery from Britain) came together to form the original EuroMillions. The following October, the Austrian, Belgian, Irish, Luxembourg, Portuguese and Swiss lotteries all joined the EuroMillions as well. With the addition of more countries, the jackpots began to break historical records. Today, EuroMillions is enjoyed in the UK, Switzerland, France, Austria, Belgium, Ireland, Luxembourg, Portugal and Spain. 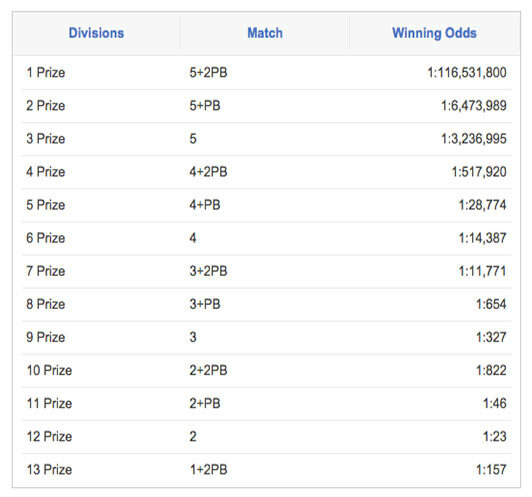 Players can participate in this lottery from around the globe by playing online with theLotter. EuroMillions moved from a once a week format to bi-weekly draws in May in 2011. Since then, the EuroMillions’ popularity has continued to grow along with its jackpots. Proceeds are distributed amongst the cooperating lottery organizations. The largest jackpots include: €183 Million (US$247 million) both in February and November of 2006, €130 Million in February and September of 2007 and in February and September of 2008, €185 Million in July of 2011, and €190 Million in August of 2012 and October of 2014. To play EuroMillions, players select five numbers from a guess range of 1-50 and two additional numbers, called ‘Lucky Stars’, from a guess range of 1-11. Those interested in learning more about the rules of other popular lotteries should visit our online lottery informational pages. To win the EuroMillions top prize, players must successfully match all five numbers drawn from the main drum and both Lucky Stars. The jackpot limit of €190 Million has been reached twice: in August 2012 and October 2014. As of 1st January 2013, Spanish lottery prizes that exceed €2,500 will be subject to a government legislated tax at a rate of 20%. This also applies to Spanish wins in EuroMillions. theLotter’s $180,000 EuroMillions Winner- In the wake of the €156 million jackpot in June of 2012, many who had never tried their luck in the pan-European favourite entered to win the third largest EuroMillions jackpot in the lottery’s history. G.R. from Russia, who had been a valued VIP customer since 2009, purchased a Subscription to the EuroMillions and learned that Lady Luck was truly on his side when he won the second place prize, a €179,000 cash windfall with five regular guesses and one Lucky Star additional number in draw 2012/46. The Really Big Win– The largest European jackpot ever was taken by a Scottish couple: £161.6 MILLION on July 12th 2011 by Colin and Chris Weir of Larges, Ayrshire. Even though the Euro amount only totalled €185 million, this win constitutes the biggest single-ticket lottery win in European history due to a favourable exchange rate at the time. Usually such big jackpots are split by several winners, but these two took it all! Sick in Bed-In May of 2009, a poor young woman was sick in bed one day in Mallorca, Spain. However, after feeling a bit better from her flu and getting ready to go to work, she happened to remember she’d purchased a lottery ticket before taking ill. After a quick numbers check, she realized she was the winner EuroMillions lottery officials were looking for! The young woman had won part of the €126 million and because of her flu hadn’t even known! Needless to say, she didn’t bother to go to work that day. The Super Draw– EuroMillions holds Super Draws at random throughout the year. The first Superdraw of 2015 was held on 6 March, resulting in a Portuguese ticket holder scooping up €100 million. The second happened on 5 June, which rolled over until it hit £93.3 million and was won by a ticket sold in the UK. The final Superdraw of 2015 occurred on 6 November, resulting in a rollover. Those who enjoy the EuroMillions’ world-famous jackpots may enjoy some other European lotto games such as the Spanish lottery La Primitiva, or big name lotteries such as the USA Powerball or the world’s jackpot record holder Mega Millions!